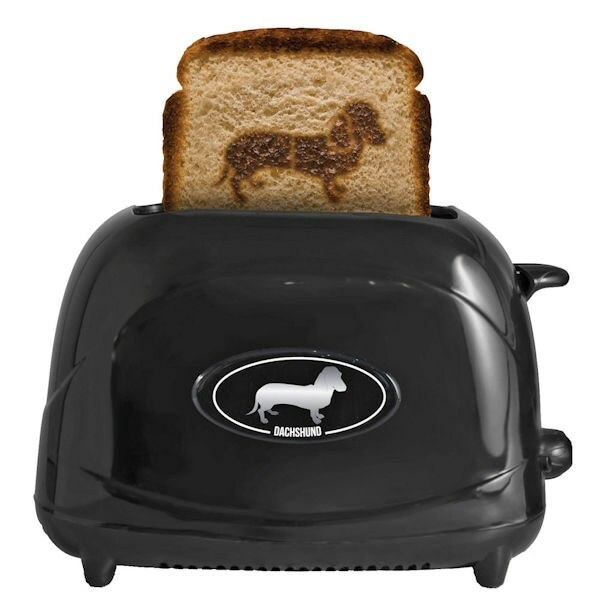 Make a sandwich or enjoy your morning eggs with a little doggie decoration. Choose from one of 13 breeds with the dog breed toaster, and every piece of bread pops up with a silhouette of your pup, or choose the cute pawprint toaster. Both have all the essential functions: frozen/reheat/cancel, heat settings and a pop-up handle. Plastic. UL listed. 15"h. No rush delivery or gift box. Yorkshire Terrier, Scottish Terrier, Great Dane, Greyhound, Collie, English Bulldog, Chihuahua, Dachshund, Labrador, German Shepherd, Boxer, Poodle, Retriever Item can only be shipped within the Continental US.